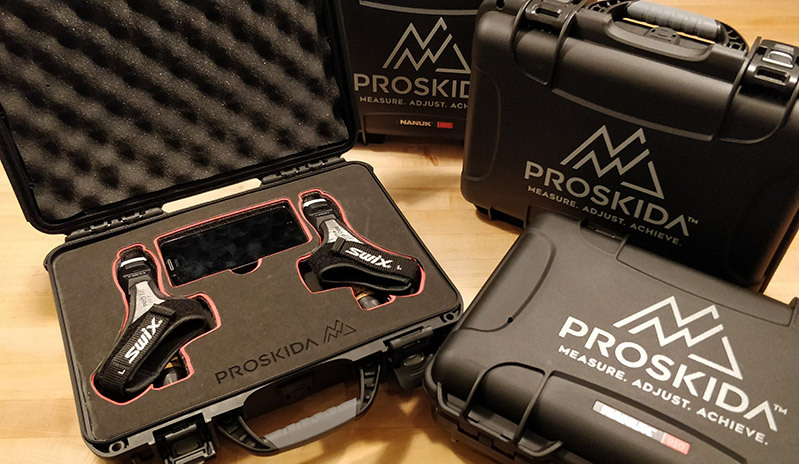 14 February, 2018 (Whitehorse, Yukon Canada) – With the goal of leading the way in performance monitoring technology for cross country skiing, Proskida is proving it’s on the right track as athletes and teams adopt the technology as they vie for the podium. Prior to the Olympics in South Korea, Smith headed to Goms, Switzerland to work with Swiss-Ski in implementing Proskida’s technology on the race course at the FIS Nordic Junior and U23 World Championships. One of the first adopters of the new technology Swiss-Ski is not alone, as Cross Country Canada and the Norwegian Olympic Federation have also secured access to Proskida for their athletes. Proskida has big ideas for the product and two years of work on the prototype have paid off with the adoption of the technology by these leading cross-country ski nations in one of the toughest endurance sports in the world. It is expected that a limited run of the Proskida technology will be available as early as next winter and teams and individuals who are interested are already putting in their orders for the system. Meanwhile the company continues to work with current and new investors to grow what is already proving to be an international product. Four years from now, when the next generation of Olympic skiers are preparing for the 2022 Winter Games in Beijing, Smith expects Proskida will have played a key role in helping them achieve their dream. Based in Canada’s Yukon, Proskida was co-founded in 2015 by three skiers who apply their technical background and knowledge to build enhanced training tools for cross country skiing. The company is the world leader in providing performance measurement technology to cross-country skiing. Proskida has built the first Bluetooth enabled cross country ski grip that can measure a skier’s performance and efficiency. Proskida makes the relationship between technique, effort, force and terrain highly visible and measurable. Coaches can track performance over time and quantify the changes over the season to better understand impact of the training program. Proskida’s technology is used by the world’s top cross-country skiing nations and was the 2017 winner of the Startup Canada North Innovation Award. Photos below are available in higher resolution for download - High Resolution Proskida Photos.